"I have been very fortunate & blessed to be under the care of Dr. Chen who is professional, compassionate & heartwarming. Thank you Dr. Chen. " "Dr. Chen is fantastic! He calmly & clearly explains my condition and the process for treatment. He takes his time and shows care for your health & understanding!" "I felt very comfortable and the way he explained. He was very calm and low keyed which made me feel great. The PA was so nice too!" "This was my first time meeting Dr. Chen. I was pleasantly surprised at his kindness - concern and thoroughness of his explanation of my treatment plan." "I have confidence in Dr. Chen. He is caring, informative and explains everything to me that I have questions about. I TRUST Dr. Chen. " 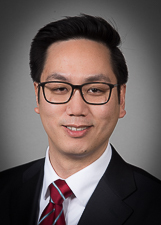 "Dr. Chen is personable, well spoken, thorough and encouraging." "Dr. Chen and the entire staff at the Imbert Cancer Center are wonderful." "My mother was very comfortable with Dr. Chen in his knowledge, professionalism and compassion to her physical issues. " "Dr. Chen is a knowledgeable doctor that shows he cares about you. Answered all my questions and concerns. Had radiation on my leg for bone cancer. My leg is pain free thanks to him. Would highly recommend." "Dr. Chen & his staff were wonderfully. They spent a good deal of time with me & explained everything fully, very caring. I never felt rushed. "